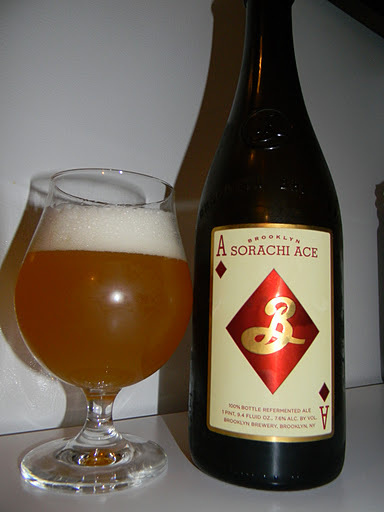 Review of Brooklyn Sorachi Ace | Beer Apprentice - Craft Beer News, Reviews, Interviews and Info. This is one of my favorite saisons. After tasting this beer, I loved the flavor of the Sorachi Ace hop so much that I decided to brew up a small batch saison with late-boil additions of this hop instead of the usual Hersbrucker. It's in secondary fermentation now and will be bottled Sunday. I was totally taken aback by this beer. I had heard good things, but I still wasn't quite sure. Needless to say…. I loved it. I'm interested to hear how yours turns out too. Keep me posted. Thanks for reading and commenting on the post too.